Please follow Litter Box Bob on Instagram, Twitter, and Facebook. Litter Box Bob is a huge cat lover and a great animal advocate. He gets the privilege of carrying around a five-day-old used cat litter tray with Cats Incredible™ litter in it and he asks as many people as he can what they smell. Almost always the response is, “Nothing!” to which Litter Bob Bob replies “EXACTLY!” He then explains how the Smell Squasher™ technology works within the litter to stop ammonia from forming. 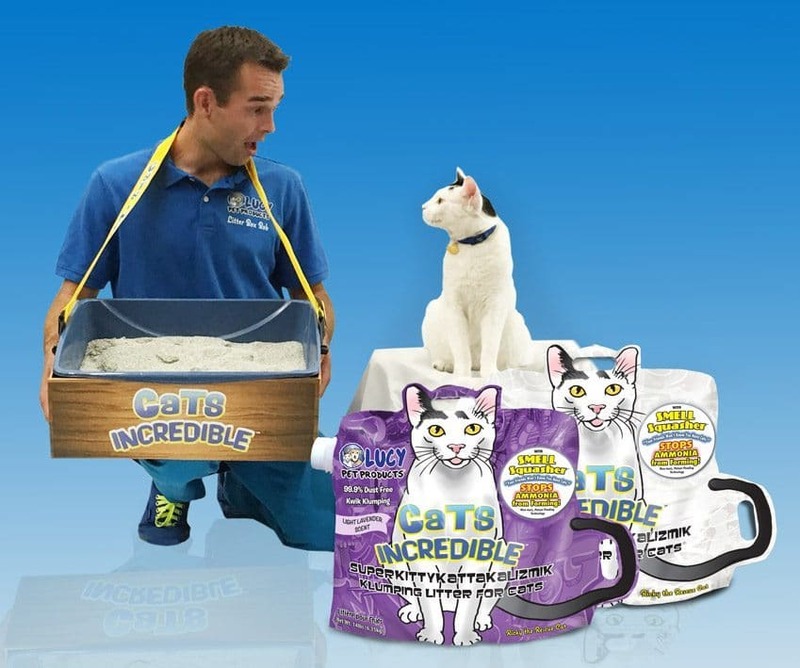 He also tells them about other great benefits, too – such as it’s 99.9% dust free and comes in a two-handled cat shaped bag with a side spout to make it easy to pour. 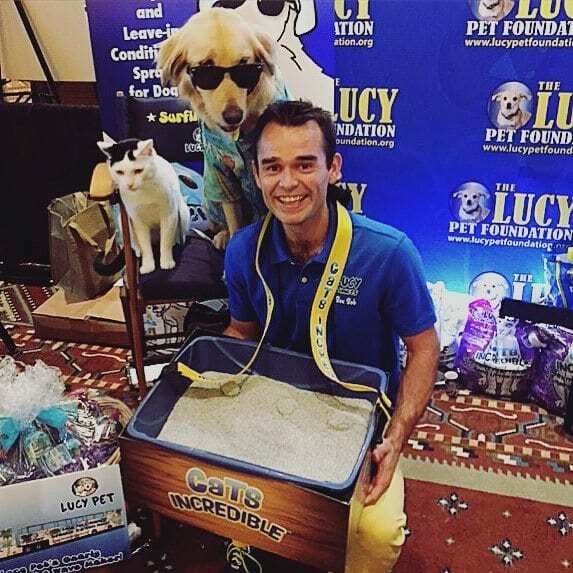 Litter Box Bob travels around the United States representing Lucy Pet Product’s Cats Incredible™ litter; he can also be found on the Lucy Pet Foundation Spay and Neuter van that currently travels around the Los Angeles area providing free to low-cost Spay and Neuter surgery as well as low priced vaccinations. Litter Box Bob creates a regular video series for his fellow cat lovers (and cat litter lovers), “The Adventures of Litter Box Bob”. Stay tuned for episodes! Litter Box Bob will also be featured on the Lucy Pet Foundation 2017 Pasadena Rose Parade float which should be breaking a World Record for the longest float in history! Surfin’ Jack, Ricky the Rescue and all the crew should be on board as well as one or two very special guests!